As we inch ever closer to the last month of summer, I’m doing my best to keep a firm grip on the warm weather and flowers, because we all know fall is just around the corner. 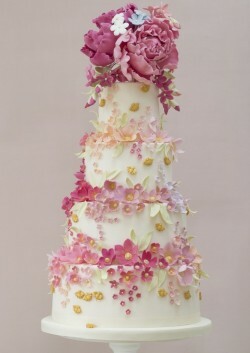 That being said, I had to share this cake today because as soon as I saw it I was in love. With a cake. At first glance you might think “wow, this is a busy cake”…and while you’d be right, I would argue that it’s busy in a good way. A really good way. If you’re planning a spring or summer wedding – particularly if it’s going to be in a garden – we have the perfect favor for your guests. 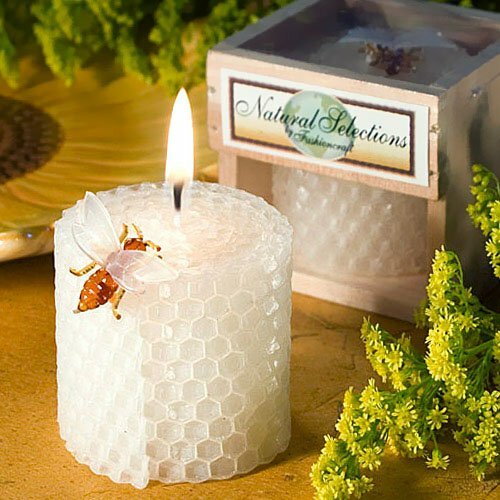 Check out these beeswax honeycomb candles. 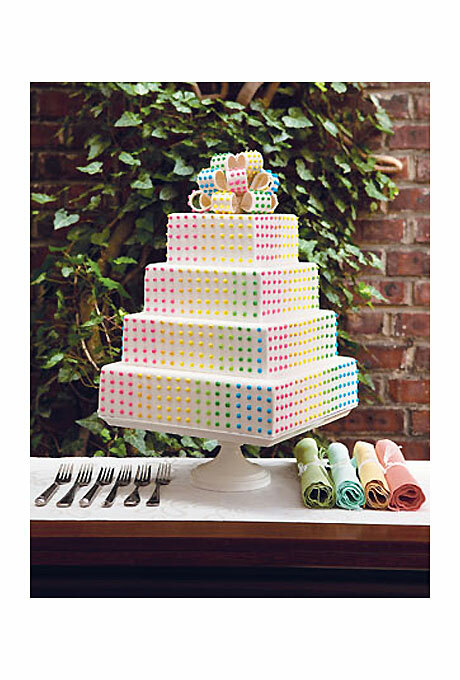 Do you remember those candy dots you used to eat as a kid? You know, the ones that were stuck to strips of paper so you inevitably ended up eating paper AND candy? 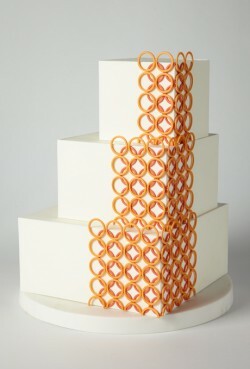 How cool would those be on a wedding cake (minus the paper, of course)? Pretty cool if you ask me. So imagine how happy I was to find this very modern take on the candy dot wedding cake. As we continue celebrating all things summer, I wanted to find another great fun wedding favor for your destination wedding. 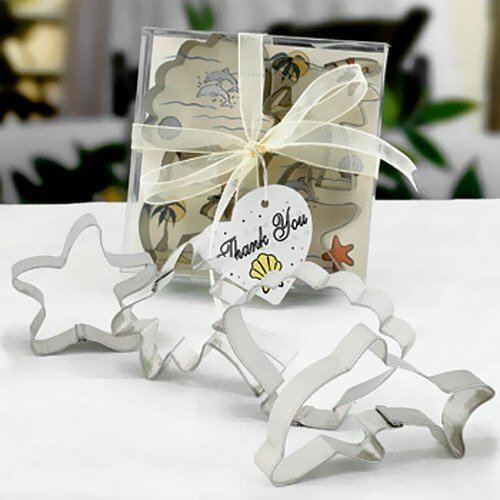 And I think these beach theme cookie cutters fit the bill. 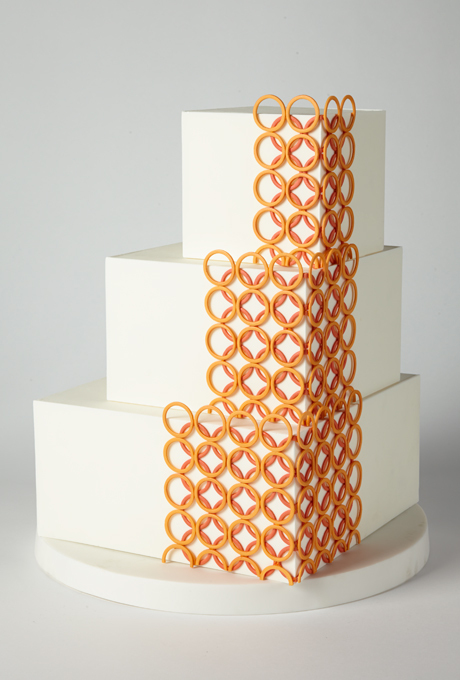 We’ve featured cookie cutters here before, and I think they’re a fun and functional wedding favor. 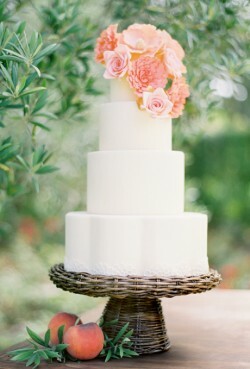 I have to admit, I find the unfrosted – or “naked” – wedding cakes a bit jarring. I think that’s because I want my cake to be overloaded with frosting. 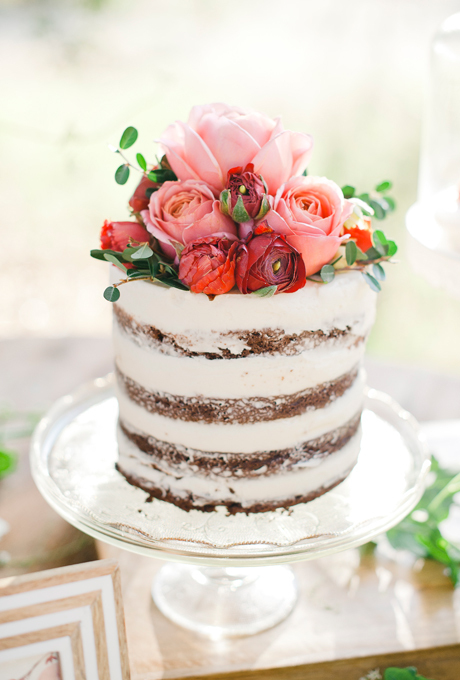 I’m the “corner of the cake” kind of girl because that’s where the highest concentration of frosting hides. So you’re having a destination wedding. 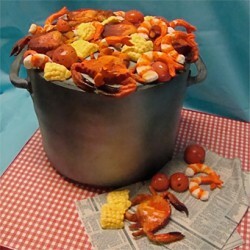 And it’s at the beach! Which means your guests will be packing their bags and heading somewhere warm and tropical. And if they’re flying to the destination they’ll need a luggage tag. 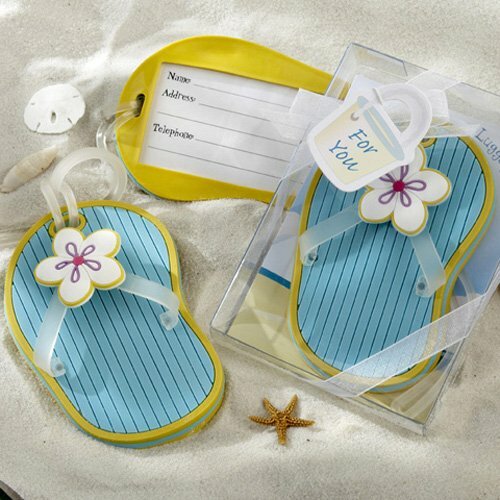 Which brings us to today’s fun and functional wedding favor – the flip flop luggage tag! Who wants a boring “standard issue” luggage tag? Not me. Give me something that will make my suitcase stand out in the sea of monochrome suitcases on that conveyor belt. Give me a bright colored flip flop luggage tag. Your guests will love these luggage tags. They’re cute and fun and every time they travel they’ll remember the amazing time they had at your beach wedding. As an added bonus, the flip flop tags come in blue and pink, so you can mix and match the tags and the men won’t be stuck with a pink flip flop luggage tag, unless they want one! You can find these super cute flip flop luggage tags here. When thinking about a fun and festive wedding cake for your summer wedding, I say why limit yourself to just one or two colors? 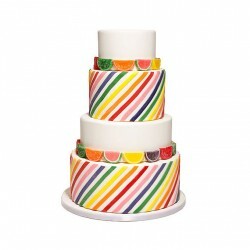 Why not go for the entire rainbow?